An Elk Grove woman was arrested last night after she allegedly put a knife to the throat of her victim following a disagreement. The suspect, 20-year old Kristin Lorentzen was involved in a disagreement on the 9200 block of Laguna Springs Drive with her male victim. While the victim’s back was turned, Lorentzen allegedly pulled out a knife and placed it to the victim’s throat. 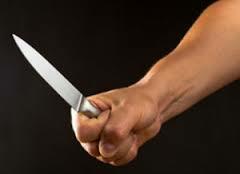 When she threatened to harm the victim, the victim grabbed the knife to keep it away from his throat and suffered a visible injuries to his hands. Lorentzen was later arrested at another location and booked into the county jail. The suspect was charged with assault with a deadly weapon and has been released on bail.